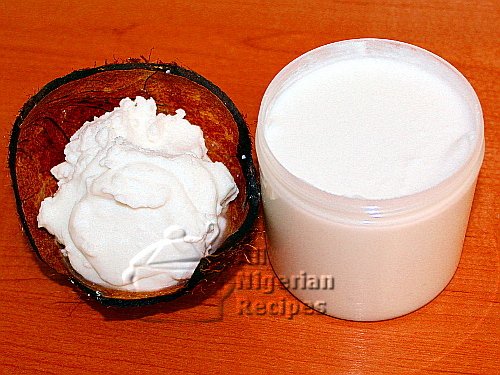 These steps will show you how to make virgin coconut oil in your home. This Virgin Coconut Oil does not contain any preservatives nor cosmetic wax like the ones sold in the shops. If you have any feedback or questions about preparing this, click here to let me know. For cooking: use it as salad dressing. Add virgin coconut oil in your cooking to give is a coconut flavour. But do not use it for frying because it has a low smoke point. Use the refined coconut oil for frying instead. Or just use vegetable oils and sun flower oil because they are better for frying. 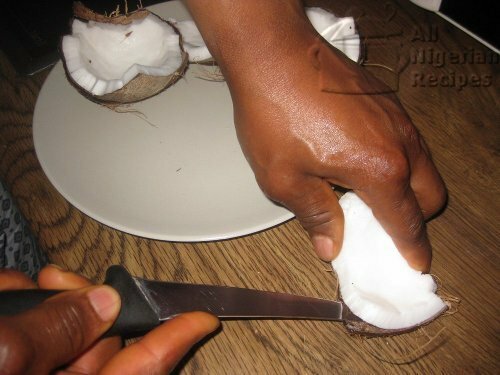 Peel off the brown skin of the coconut. 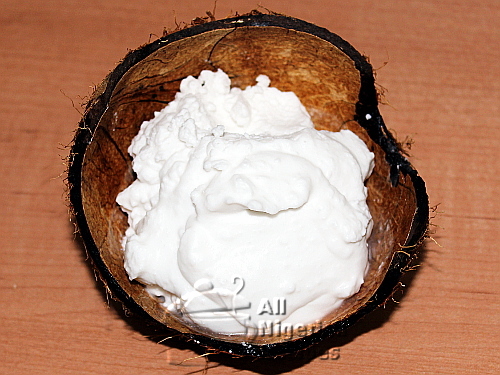 This is so that we can make the purest and whitest virgin coconut oil. 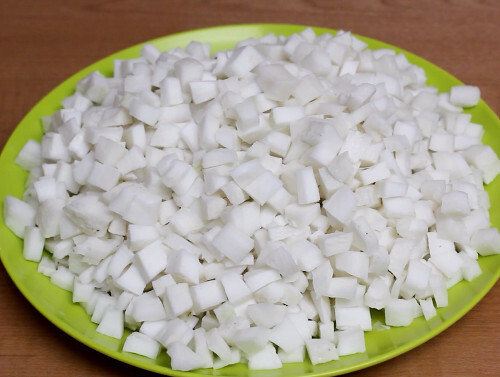 Wash the coconut meat and cut into tiny pieces to help your blender. Place in a blender, add a small quantity of warm water (just enough to allow the blender blades to rotate freely) and grind into a smooth paste. You can also use a grater for this purpose. But a blender is more efficient in that you get more coconut oil when you use a blender. Place the bowl of coconut milk in a working fridge overnight. The next morning, you will notice that the coconut oil (the white part) has separated from the water and caked at the top of the bowl. The vibration and cold temperature of the firdge is what makes this happen. 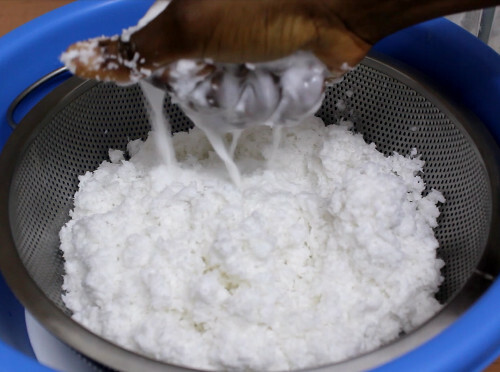 Gently take out the blocks of coconut oil from the bowl. pat them dry with paper towels and place in another clean dry bowl. 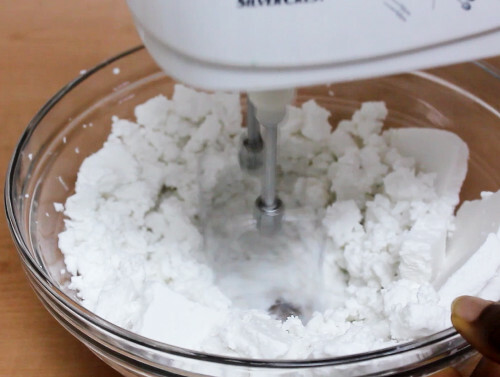 Use a mixer to run through the coconut oil till you get a smooth consistency. 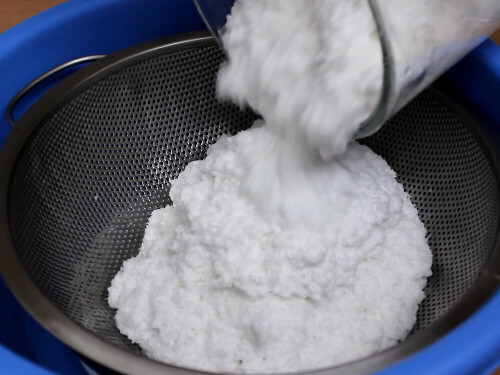 If you do not have a mixer, use a spatular to mix like you are making semolina. When you are happy with the mix, leave it in the bowl and after some time, you will see more water seeping out from the oil. Keep pouring out this water till you can see no more water seeping out. Scoop the coconut oil into containers (glass jars are the best), cover and keep in your fridge and keep refrigerated at all times. This virgin coconut oil does not contain preservatives hence will go bad and develope a foul odour if you do not keep it in the fridge. In fact, if you will not use it up within a few days, it is best to keep some in the freezer and keep the one you will be using in the fridge.